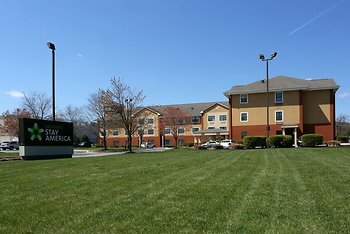 Hotel Extended Stay America Baltimore - Timonium, Lutherville Timonium, United States of America - Lowest Rate Guaranteed! The unit had just been refurbished. The lobby was also being redone. Lots of noise and bad smells. Staff tried to accommodate. The bed was possibly the worst of any hotel room. Also, for $90/night, I think you should provide shampoo for guests. I think you should look at your rate comparable to other hotels in the area. Logos, brands, and other trademarks featured within this site are the property of their respective trademark holders. These trademark holders are not directly affiliated with Hotelsone. Extended Stay America is a registered trademark.© 2001 - 2019 HotelsOne. All rights reserved.